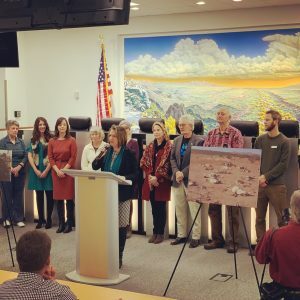 Recently delegated New Mexico Land Commissioner Stephanie Garcia Richard marked her first Executive Order yesterday, prohibiting killing challenges focusing on unprotected species on nine million sections of land of state trust lands. Garcia Richard was joined at the marking by creature and untamed life advocates from Animal Protection Voters, The Sierra Club, Project Coyote, Wild Earth Guardians, Prairie Dog Pals, and Wildlife Conservation Advocacy Southwest. 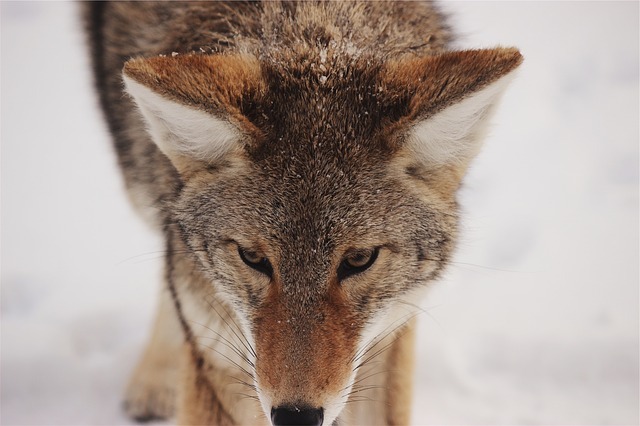 The request makes it illicit to sort out, support, or take an interest in an executing challenge of blameless and unprotected creatures, for example, coyotes, for supposed "diversion" or prizes on state arrive. “These are not hunting contests. They are animal cruelty contests. It is an inexcusable practice, and today I used my authority to ban organized killing contests of unprotected species on any of the nine million acres of State Trust Land that I am charged with overseeing,”Garcia Richard noted amid a question and answer session and on an announcement discharged by the New Mexico Land Office. There is no such thing as "ethical hunting" of honest creatures. Tragically, the boycott just applies to confide in land and covers those species not managed by the state Fish and Game Department, for example, coyotes. Throughout the years, moves to boycott coyote-slaughtering challenges statewide have so far neglected to have been passed into law. As indicated by the Albuquerque Journal, another bipartisan bill has been pre-petitioned for the coming 60-day session by Senators Mark Moores of Albuquerque, and Jeff Steinborn of Las Cruces. May the coyote-murdering restriction on New Mexico State Trust Lands motivate others to stop the silly executing challenges of honest creatures around the globe, regardless of whether on unprotected or secured arrive.